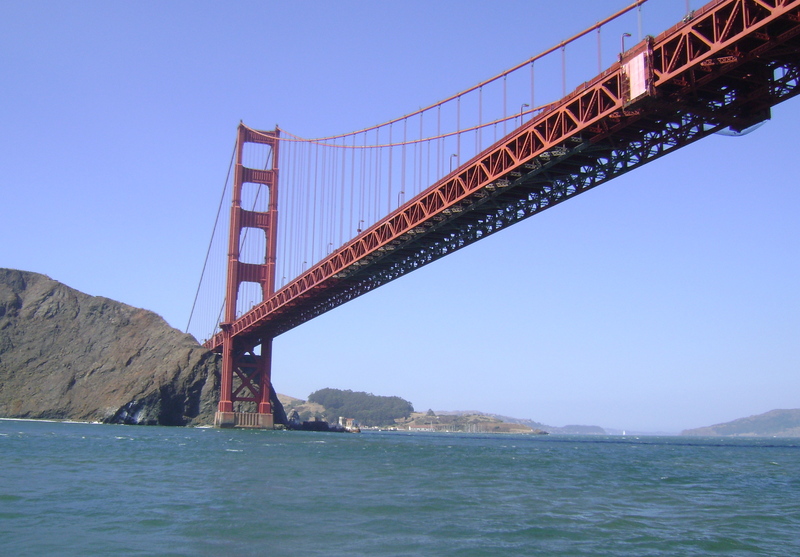 When Mark was young, he was unusually afraid of bridges. Each time we drove across one, from the backseat we could hear his voice edged with fear urging whoever was driving to, “Hurry, hurry. Go faster! Hurry and get across.” He didn’t look out the car window, but kept his head down or his eyes straight ahead so as not to see the ground fall away beneath. It wasn’t that he didn’t want to get to whatever destination was on the other side, he was simply terrified of the process. 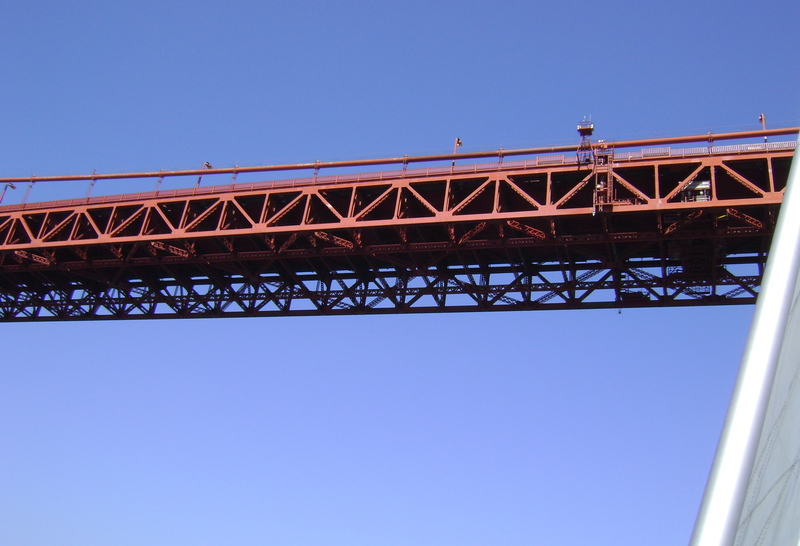 Then when he was a little older and began to understand that bridges weren’t so scary, Mark was brave enough to walk across the Golden Gate Bridge on a family trip to San Francisco. He realized it was kind of fun to be up so high and have such an amazing view of the entire Bay area- although still a little nerve shaking to look down. Last July we were in San Francisco once again as a family. 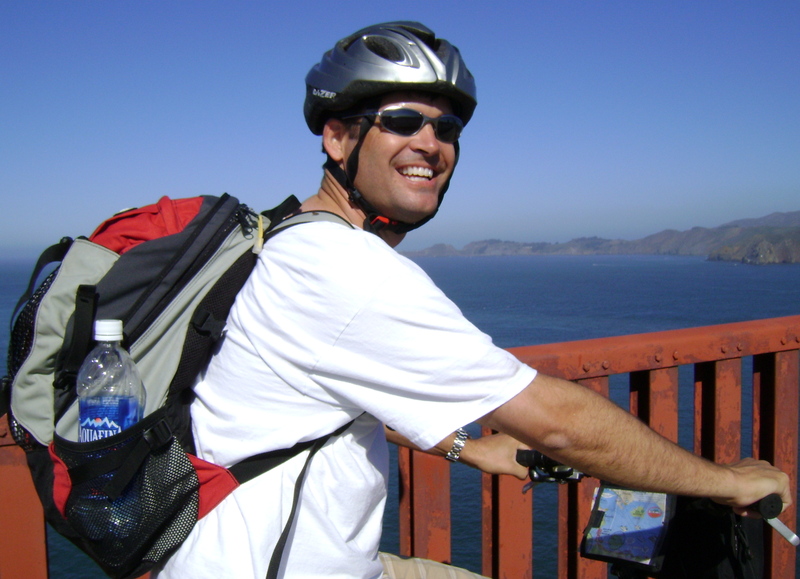 This time we rode bikes across the Golden Gate bridge, stopping from time to time to marvel at the time and effort spent in construction, the view, the distance across, and the convenience that bridge provides. 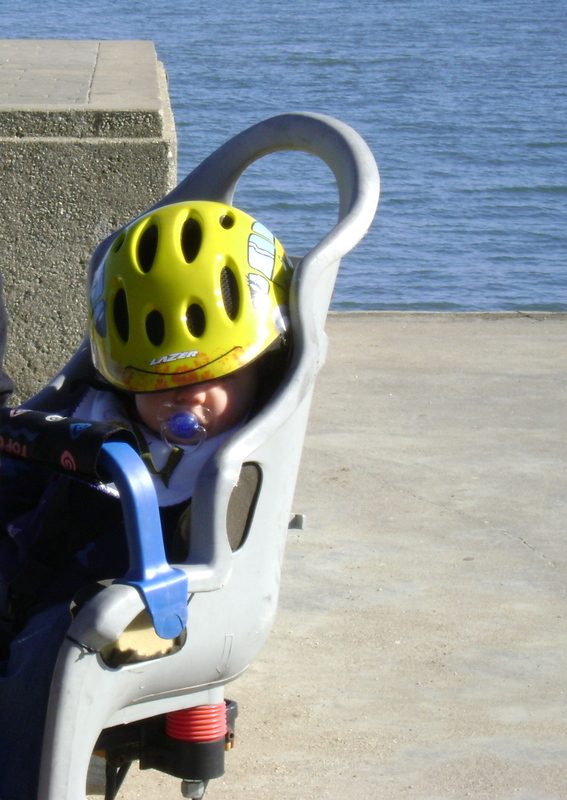 Mark was as excited about that adventure as the rest of us – even sporting 10 month old Charlie in a seat on the back of the bike. We all felt something exhilarating about biking across that expanse of concrete and cables – it was one of the highlights of the vacation. This week as I’ve been processing seemingly endless pictures and mementos of family members I don’t actually know, a couple of times I’ve wondered aloud why I’m really doing this. I wonder if I’ll ever really complete the project. Tell me again who is going to care about all this stuff. Why am I taking the time to sort, organize, preserve and label pictures of a lot of people who are gone and almost forgotten? Who would really know if I threw some of this stuff away? What a great reminder! 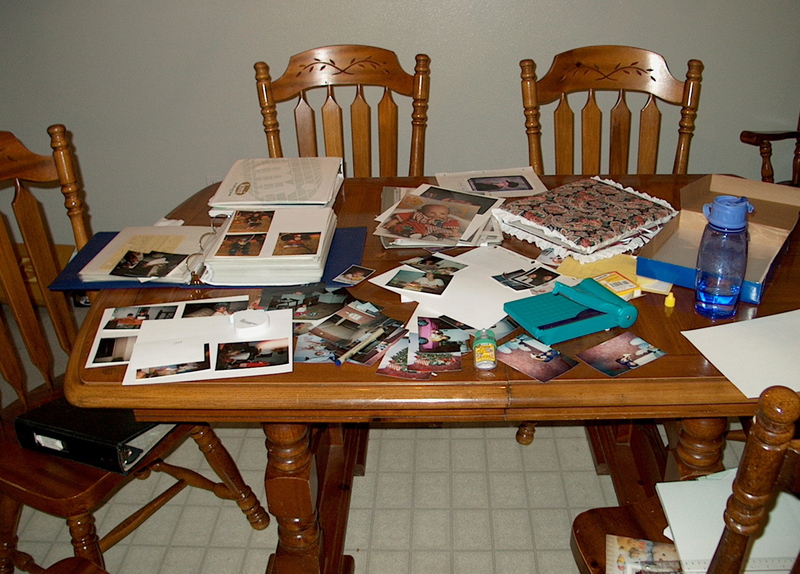 The picture albums I am creating, the blog posts I am publishing, and the memories I am preserving are family bridges. This work allows each member of the family – past, present or future – to be discovered or rediscovered. These records are the bridges that connect those of us living today with those who have gone before and those who are yet to come. I am in awe when I consider the time periods these bridges span, the care with which they’ve been constructed and preserved, the panoramic view of family they provide, and the connection I feel to these faces and letters. My feeling of exhilaration returned! And it makes me happy to help build this bridge. 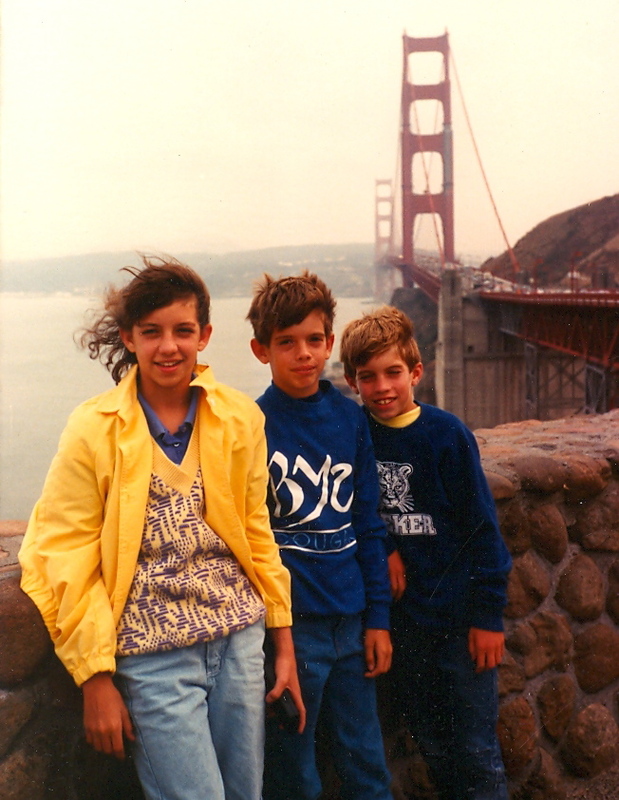 Wow, I really, really, really loved that sweater/shirt combination…good times. I also feel this way about blogging to my kids, I just hadn’t ever given it those words. It is like bridge building. I like that a lot.